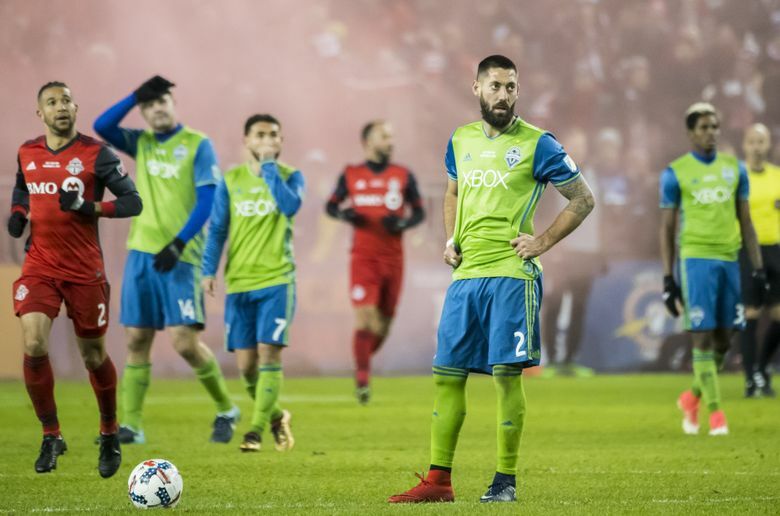 No designated players and only one targeted allocation money player will be in the Sounders starting lineup Wednesday against Toronto FC in a rematch of the last two MLS Cup finals. The Sounders have switched to a new formation that includes a five-man back line. As mentioned earlier, the Sounders are resting quite a few players Wednesday and going with a five-man back line against defending MLS Cup champion Toronto FC at BMO Field. The rematch of the last two finals split evenly between the teams isn’t quite the epic showdown first envisioned when the schedule was announced. Toronto is still hurting coming off a near-win in CONCACAF Champions League play and will be without striker Jozy Altidore for the next 4-to-6 weeks following foot surgery. That’s good news for a Sounders squad that’s seen Altiodore score the last two times these teams have played and which needed Stefan Frei to make an epic save off him in the 2016 final. That said, the Sounders have been devastated by injury and today will start not a single designated player and only a lone targeted allocation money player in midfielder Magnus Wolff Eikrem. Center back Kim Kee-hee is on the bench, but Sounders coach Brian Schmetzer would rather not use him at all given he’s coming off a recent calf muscle strain and is expected to be in the starting lineup on Sunday at Portland. Clint Dempsey and Osvaldo Alonso did not make the trip, given their age and the desire of Schmetzer to start both against the Timbers. Nicolas Lodeiro also failed to make the trip and is very unlikely to play Sunday as he continues to rest that toe fracture in hopes of having it ready for next month’s World Cup. All in all, not much of a surprise here. Schmetzer hinted on radio earlier this week he’d go with a different formation and whether you want to call it a 5-4-1, or a 3-5-2 depending on how high everybody pushes up the field once play begins, this was expected given the complete ineffectiveness of the team last Saturday. Also, given it’s the arch-rival Timbers that are the opponents this weekend — and the relative health concerns on a club playing three times in eight days — the odds of any of the DPs getting in this game were always somewhere between slim and none.